Get the best of both practicality and style when you purchase the Kado Tallboy. With 4 quality drawers all boasting stylish handles combined with a sleek and high quality timber finish, the Kado is a great tallboy for your bedroom. A strong and solid cube-like design, the Kado adds a touch of simplicity to your home. The Kado is made from the highest quality materials to give you a quality tallboy that can easily withstand the tests of time. You can depend on the Kado to give you long lasting results with its strong and durable timber construction. Maximise the space in your home with the Kado’s four drawer storage solution. Made from quality timber and made with strong metal runners, you can easily and quickly organise your belongings and store them away to maintain a cleaner and healthier environment. All products in stock are eligible for Sydney CBD next day delivery. 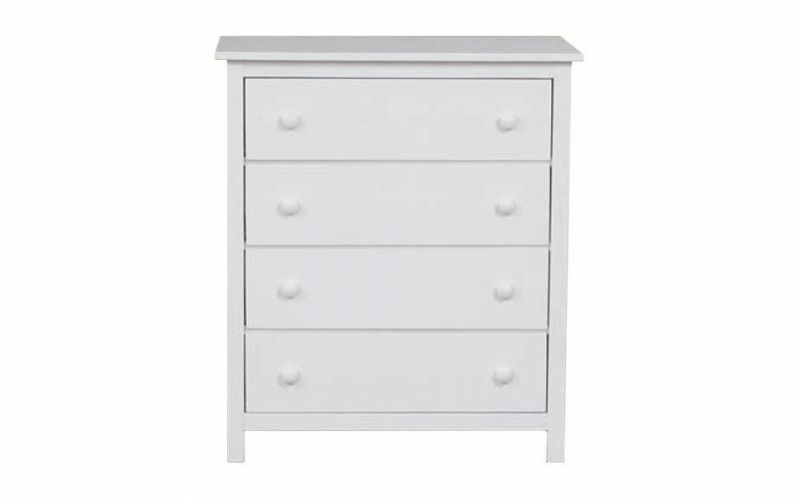 Ask us if you can get your Kado Tallboy 4 drawers Arctic white by tomorrow.